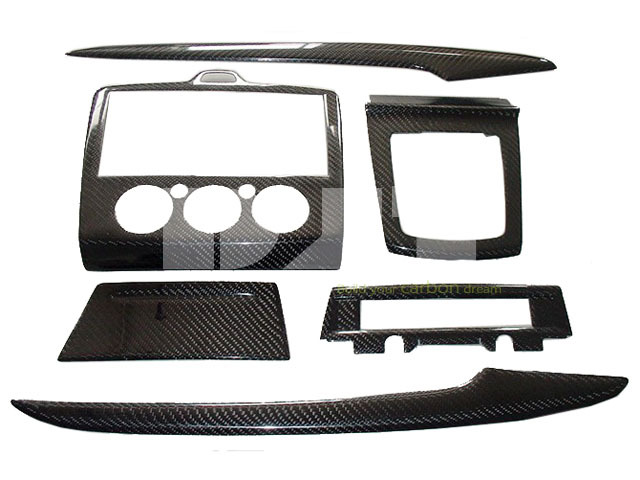 Carbon Fiber Car Interior Parts, wrap car interior parts in carbon fiber, carbon fiber car overlays, carbon fiber wrap, BMW carbon fiber parts, Porsche carbon fiber parts, Audi carbon fiber parts, Carbon fiber center console. Carbon Fiber Car Interior Parts, Carbon fiber center console. Material: high quality 3K plain/twill carbon fiber overlayer on the original parts. Customers send us the original car parts or other plastic/metal parts, we wrap them in carbon fiber and send backt to you. 1. Nice carbon fiber look. Complete coverage of entire original surfaces all the way to to the edges, protects against scratches. The back side of your original parts will be kept the same as before, it won't affect fitting after being wrapped. It costs more to develop a carbon replacement with a small order quantity. To save some shipping fee, if you know the car parts you want exactly, please let us know in advance, we may can source the original parts from our partners or other factories in China. Audi carbon fiber wrap, BMW carbon fiber wrap, Porsche carbon fiber wrap, Buick carbon fiber wrap, Mazda carbon fiber wrap, Nissan carbon fiber wrap, Mitsubishi carbon fiber wrap, Suzuki carbon fiber wrap, Toyota carbon fiber wrap, Ford carbon fiber wrap, Subaru carbon fiber wrap, Volkswagen carbon fiber wrap, Pegeot carbon fiber wrap etc.